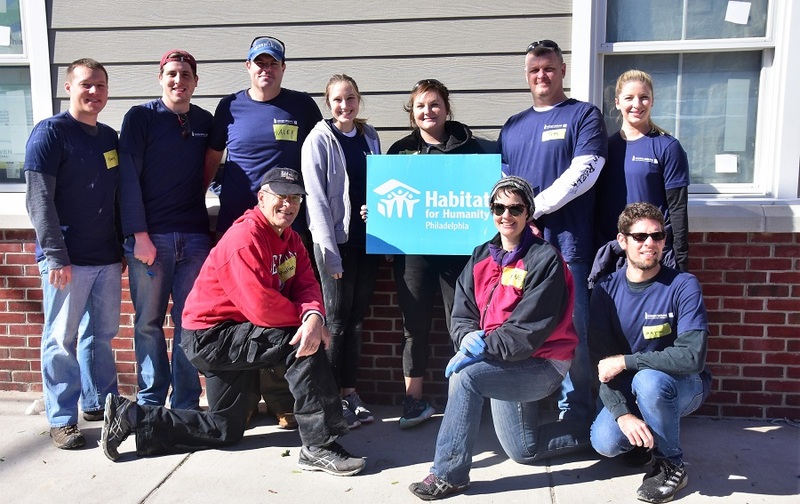 On October 24, Cohen Seglias’ volunteer team returned to Habitat for Humanity Philadelphia‘s Diamond Park housing development for the final time as they put finishing touches on the last houses. Volunteers from our Philadelphia and New York offices, including, Alex Barth, Kelly Bridgeford, Ashling Ehrhardt, Matt Erlanger, Tim Furin, Richard Fusco, Marian Kornilowicz, Emily Martin, Olivia Paris-Kornilowicz, and Gary Repke, built and installed fences, installed insulation for HVAC, caulked, and filled holes to prepare for painting. People in Philadelphia and all over the world partner with Habitat for Humanity to build or improve a place they can call home. Habitat homeowners help build their own homes alongside volunteers and pay an affordable mortgage. With our help, Habitat homeowners achieve the strength, stability, and independence they need to build a better life for themselves and their families. For more information on Habitat for Humanity, and to learn how you can help, please visit their website.